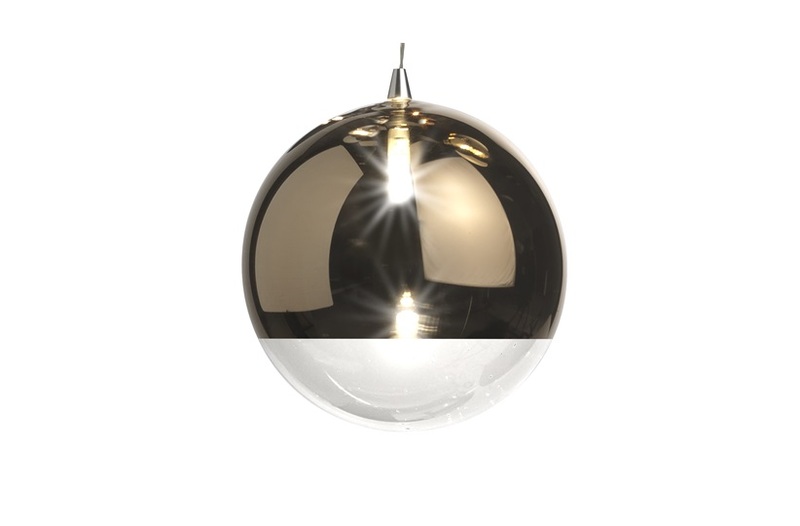 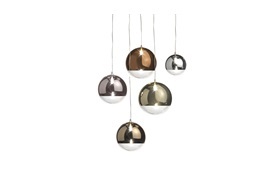 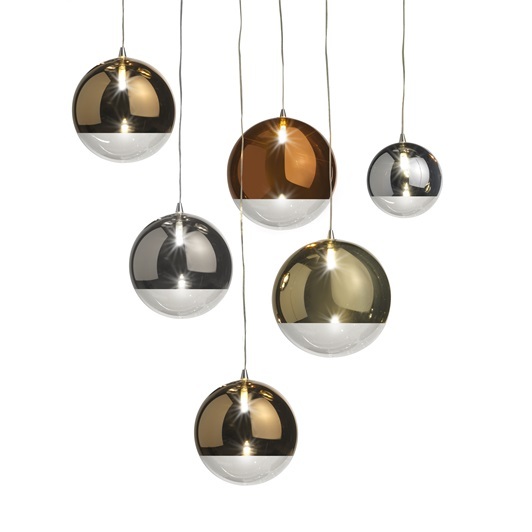 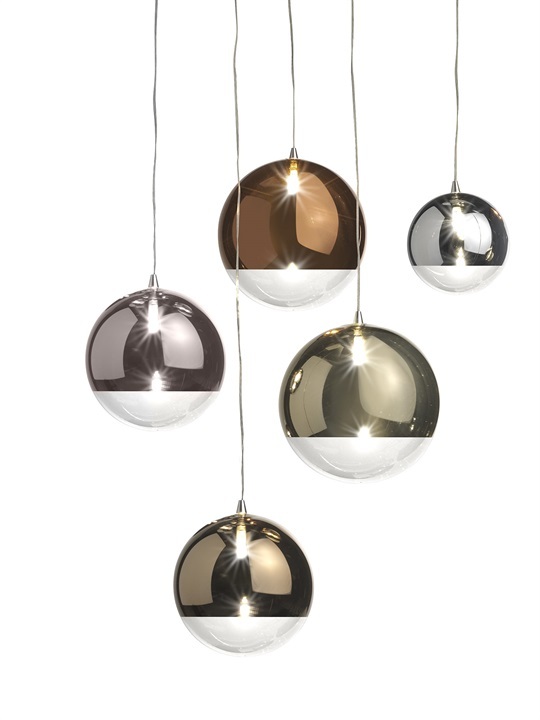 This unusual chandelier boasts 5 suspended mirror-plated glass spheres blown by expert craftsmen. 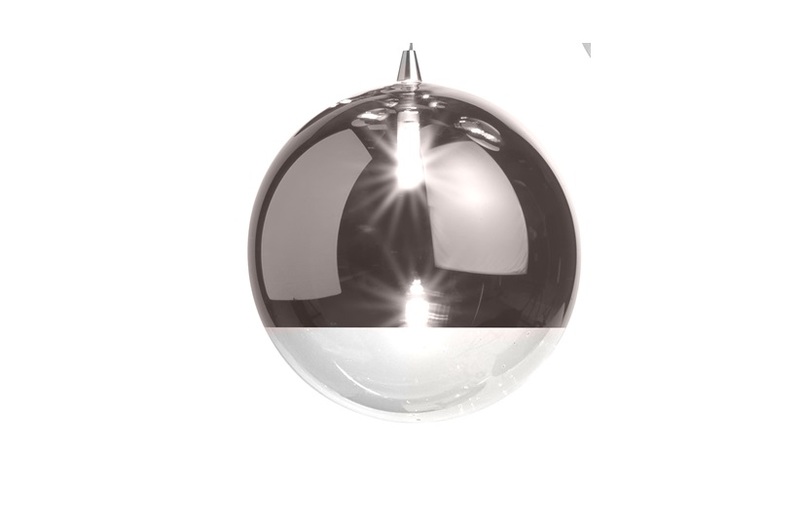 The glass spheres each have individual ‘light filter’ finishes in either bronze, silver or copper and LED lighting inside. 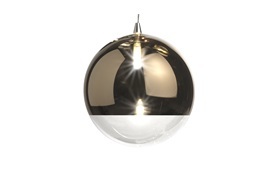 A stunning ornamental lighting piece befitting a unique contemporary interior.